Tanjung Benoa Snorkeling with Bali Zoo + Ubud Tour is also one of our fantastic water sport tour package where you will have a great time by doing snorkeling activity at Tanjung Benoa beach then will be continued with a wonderful Bali sightseeing trip by visiting Bali Zoo at Sukawati, Ubud monkey forest, and also go to Ubud center for visiting famous Ubud Palace & Ubud Arts market. Don’t miss it and book your full day tour only with us. 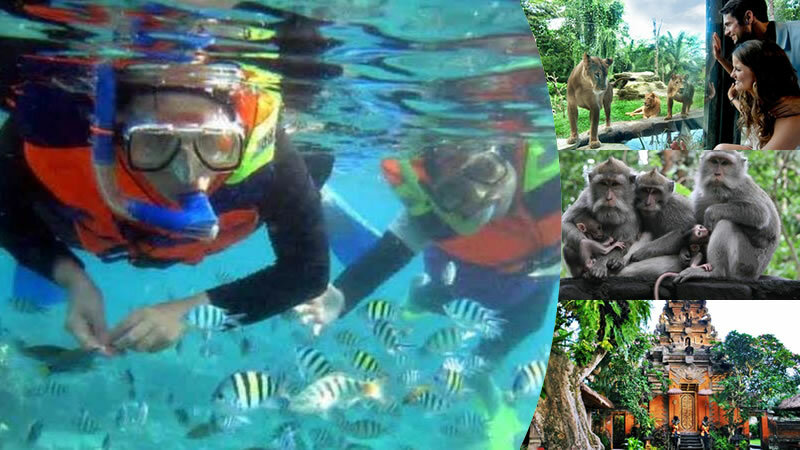 This combination package tour will give you unique experience during your marine water sport in Tanjung Benoa Bali. 13.00 – Visit Bali Zoo.